I still intend to do a traditional annual self-review, if for no other reason than I have to figure out what to put on my Epiphany cards. At least I can cite a good reason for not having the time or money for my usual Christmas cards. 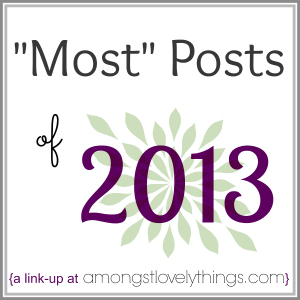 Anyway, Jen plans to participate in a particular year-in-review post link-up sponsored by Sarah of Amongst Lovely Things, the “Most” Posts of 2013. That sounds like a much less time-consuming task than my usual effort, and I love link-ups, so I’m going for it. Post with the most clicks: Catholic Calendar 2013 takes the cake. My Catholic calendar posts are usually my most popular. I’m delighted that I can share my love of liturgical celebrations and Google Calendar with so many people! If you missed the 2014 update, check that out. 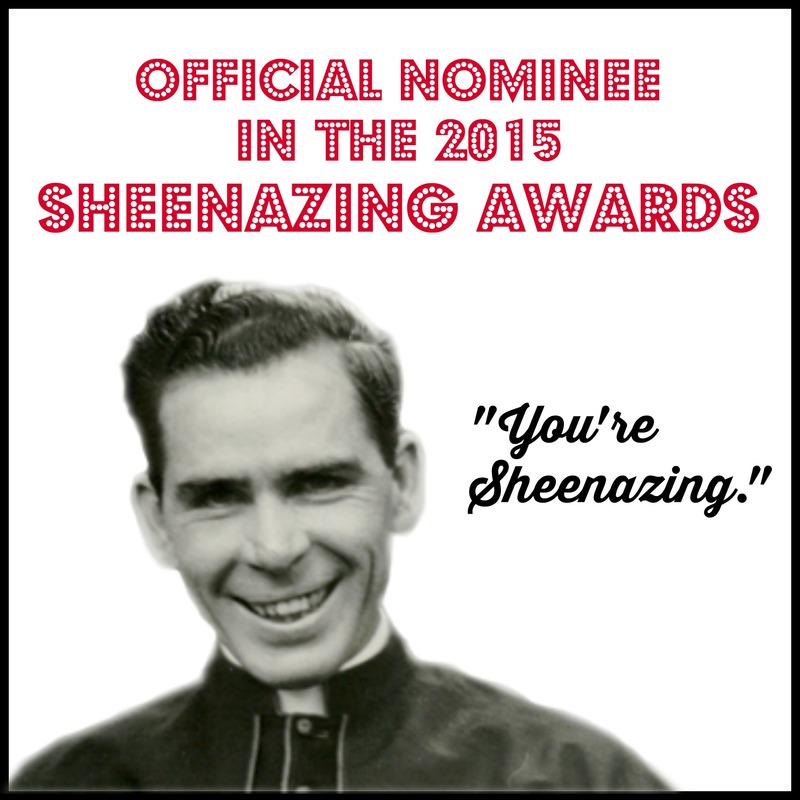 Second place goes to The Best Way to Pray Spontaneously As a Catholic. That is not original content, but I intentionally loaded the title, so I suppose I’ll have to be an SEO believer now. Many thanks to Joe Paprocki for the foundational material! Post with the most comments: We have a tie! 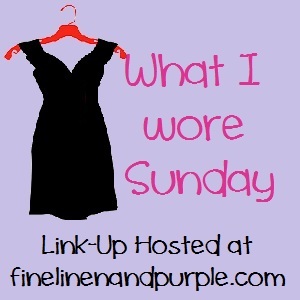 Both are installments of What I Wore Sunday at Fine Linen and Purple, which supports my conclusion about the power of link-ups for generating traffic and comments. Volume 12 and Volume 26 were the winners. Volume 26 was also my third-most visited post. Post with the best picture: I’m not always very good about adding pictures to my posts. Back when I was doing Post A Day with WordPress, I put more work into finding pictures mostly because the posts were so short. My favorite picture was a screenshot, actually. In The Year of Many Weddings, I dipped into my love of Weddingbee. The forums don’t always give the best advice on Catholic weddings, but this commenter made my day (and my year, apparently). Post that was hardest to write: I’m declaring this one a tie, too. In 7QT Volume 214, I alluded to the day when I realized I would be quitting my job. It wasn’t until later that I could talk about it openly, but I wrote that when the feelings were at their worst. It’s been a really tough year, and I am glad that it is over. The second-hardest to write was my Top Ten Tuesday on things I’m thankful for. Because it was such a tough year (much by my own actions), it was difficult and humbling to be thankful for such simple things and to know that they were all I had. Post that was your personal favorite (not your readers’ favorite—your favorite): To have a “readers’ favorite post,” I would need (a) many more readers, and (b) readers that commented more. I’m pleased with what I have, though, and my current blog traffic state makes this a much easier question to answer, so there. That said, my favorite post this year was on Holy Saturday. That’s one of my favorite days of the year. I make the same post every year, but that doesn’t mean it’s not my favorite. It requires the mood of the season to enjoy wholeheartedly, but I recommend that you read it anyway. If you stick around until next year, you’ll get to see it again! It is late and I have some things to do before I head to a friend’s New Year’s Eve party, so I will have to delay my regular year-end post until tomorrow. Glancing through my archives gave me a baby resolution, though: post more than once in February and March! This week’s outfit was a very simple one. It was good to be back at my usual haunt. The Christmas decorations are glorious! This was the first time I’ve seen them, since I was home for Christmas Day. It was cold again in Texas, so I went for a middle-of-the-road outfit. 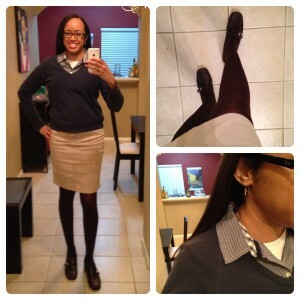 The skirt is Mossimo for Target and is one of my favorites. It’s a very light golden wheat color. Gold is liturgically white, so I like to wear it for white solemnities such as Christmas—and the rest of the season. I picked the top, which is an ordinary shirt from Old Navy, to match the skirt and be warm enough to wear without a sweater. I also really like that shade of red on me, to be honest. The shoes are the same brown flats with bows on the toes from Payless that I always wear. Tonight was the first time I lectored on an actual Sunday (instead of the vigil, which I’ve done twice). I was nervous, but I asked the Holy Spirit to help, as usual. He came through for me. It was interesting to be able to see the space where my friends and I always sit but not be in it while they were. I kept my focus and behaved, though. I got a number of compliments on my lectoring. It’s all in the material. Fr. Reversible Names preached about our “longing to belong”: to be within the embrace of family, to approximate it when ours fails to measure up, to strive for holiness in our own. He was fighting a bad case of “Christmas crud,” but he held up through Mass. God bless him for working so hard while feeling so awful! If you haven’t checked out the 2014 Catholic Calendar, now is a great time. It will be up for as long as this blog is, of course, but the end of the year is always new calendar time. And this one is free! Well, I went to church early today (where “early” means “before noon”), and I remembered to take my photos right afterward. That would usually lead to an earlier What I Wore Sunday post, but I went to the movies with my mom. Then I changed my blog layout. I also completely forgot that messing with my phone all day yesterday smudged the lens, so my photos are blurry. They are also not full-length. There’s no mirror that long here. You’ve seen this outfit before, back in the beginning of November. It was unusually warm in Maryland today, but I’m still sensitive to cold, so I went for a layered fall-ish look. 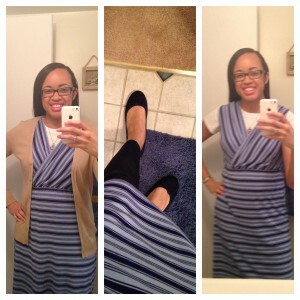 The dress is from Target, the sweater is from Old Navy, and the shoes are new navy blue ones also from Old Navy. I got them for my main Christmas party. I should post those photos, come to think of it. Church was good. I went to my usual church back home. I was alone, but I usually am. Fr. Can’t Remember His Name focused on trust. Ahaz didn’t trust God to protect his kingdom, which he demonstrated by forming an alliance with Assyria, and Isaiah took him to task for it. Joseph didn’t trust Mary’s pronouncement that her child was conceived by the Holy Spirit, so God sent an angel to him in a dream. God calls us to trust that his plans for us are for our good, even if we do have to wait for them to be carried out. Back to mom’s guilty pleasure TV shows. It’s that time again! Even though I never actually re-hung my Nuns Having Fun calendar after I moved, I have had my Catholic dates all ready to go since I first made the Catholic Calendar years ago. All Saints’ Day is on a Saturday, so it is not obligatory, unfortunately. But All Souls’ Day is on a Sunday, so that gets top billing. St. Kateri’s feast day will be properly observed this year for the very first time. Blessed John Paul II will be a saint by the time his feast rolls around in October, so that should be particularly delightful! If Immaculate Conception 2013 had you totally confused, next year will be more straightforward. It will be on December 8 again, and although that is a Monday, it will be a Holy Day of Obligation. The obligation is only lifted when the date is transferred. That also means San Juan Diego has his memorial back, on December 9. Here’s the good part: If you subscribed to the Catholic Calendar in 2011, 2012, or 2013, you should be set for 2014 now. I added the 2014 information last night. On the left-hand side of the screen, click the small arrow next to “My calendars,” then choose “Create new calendar.” I call mine “Catholic Calendar.” You can fill out the other information if you want to, but it’s not necessary. Click the “Create calendar” button. Farther down on the left-hand side, click the small arrow next to “Other calendars” and choose “Import new calendar.” Browse to the .ics file you downloaded and upload the events to your Catholic Calendar. All the U.S. Catholic holidays since 2011 should be visible now as all-day events. If you click the name of each event, you can see the liturgical color and the rank of the day in the description. If you want to know more about ranking (and understand why the Immaculate Conception was moved to Monday and not obligatory in 2013), see the Table of Liturgical Days. If you don’t use Google Calendar or an .ics-friendly program, you can bookmark a single-page, fullscreen online version. If you click the button in the bottom right-hand corner, Google will add the Catholic Calendar to your primary Google Calendar. I can’t remember if you have to confirm it first, so click with caution. For more information about the U.S. dates for the 2013 liturgical year (and all of the 2014 calendar year), you can read this very helpful PDF published by the USCCB. Don’t say your bishops never did anything nice for you. Thanks to Romcal for the original idea and the backend data! Another late Sunday night, another WIWS post. Last week got away from me and I never got to post! Christmas is so soon! At least I pulled it together for Mass this week. I try to dress liturgically when possible: purple during Lent and Advent, red for martyrs and apostles when I remember, and blue for Mary quite frequently. The rose Sundays are particularly delightful because I look good in pink. Pink and brown go together; I had a web page design with that scheme years and years ago. So today I wore pink. This is one of my favorite outfits, and unlike last week’s “favorite outfit,” this one still fits well. 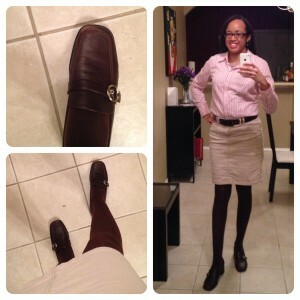 The blouse, belt, and tights are from Target. The skirt is from Old Navy. 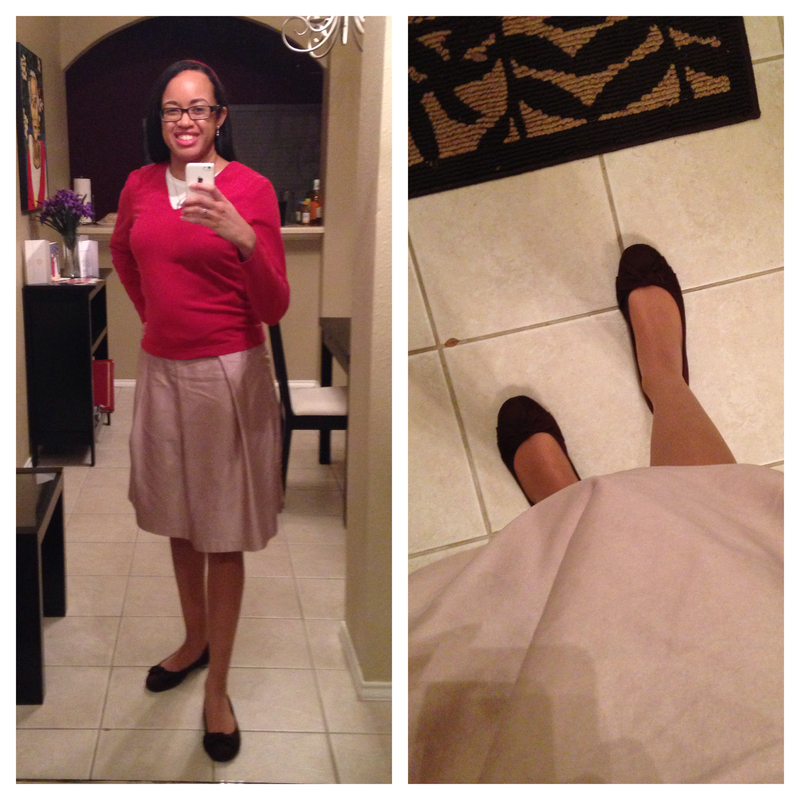 Pencil skirts don’t work for me anymore, but I can’t give this one up! It’s the only corduroy I have! The shoes also need replacing, as you can see from the scuffed-toe close-up, but I like the way they fit, the chunky heels, and the rich color. I think they are from Kohl’s, but they’re so old that I can’t remember. Mass was quite pleasant. The choir didn’t sing “O Come, O Come Emmanuel,” hooray! They did sing “City of God” again, but I will take one victory at a time. My friend Kevin and I got into a discussion about other Advent songs last night. I found Cris’s excellent Advent music post (by Googling, which is really weird because I know him through Austin CNM, so I shouldn’t have had to Google) and shared it with him. I don’t usually sing Communion songs, so I hadn’t realized “My Soul in Stillness Waits” is specifically an Advent song. Score one for the choir, one for Kevin’s instant recognition of the title from Mass last week, and one demerit for me for not giving the choir more credit. I won’t be back at that parish for Mass until after Christmas, so we’ll see what I get in my travels next Sunday. One of these days I’ll stick around and light that fourth candle on my Advent wreath. One of these days. 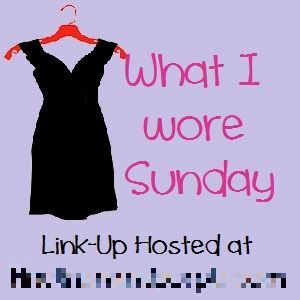 How was your Gaudete Sunday? Are you feeling joyful that Christmas is almost here or just mildly panicked, like me? Sometimes I forget how much I love fiction. History is important because, if we don’t learn from it, we are doomed to repeat it. Theology is critical because we never stop learning about God, even after we die. But fiction can expand our world into real-life versions of what happens in our dreams—or in our nightmares. We find all three styles in the Bible: the historical tales of the Israelites desperately seeking their savior, the poetic descriptions of the first moments of creation in Genesis and the human heart’s response to God in the Psalms, and the parables of Jesus. Those parables may not have been factual, but they were true. Truth is more than just facts. Truth conveys meaning. Jesus tells us that he is the way, the truth, and the life. Thus, even though fiction is by definition not factual, it is still true. Conveniently, all three styles are also available in the writings of the great author G.K. Chesterton. 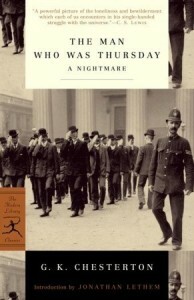 Read the rest of my review of The Man Who Was Thursday at Austin CNM. Today was cold again, but not as cold as previous weeks. I think I had too many layers. I think this is my favorite cold-weather church outfit. It’s the one I’m wearing in my current social media photo. Yep, that’s from last winter. 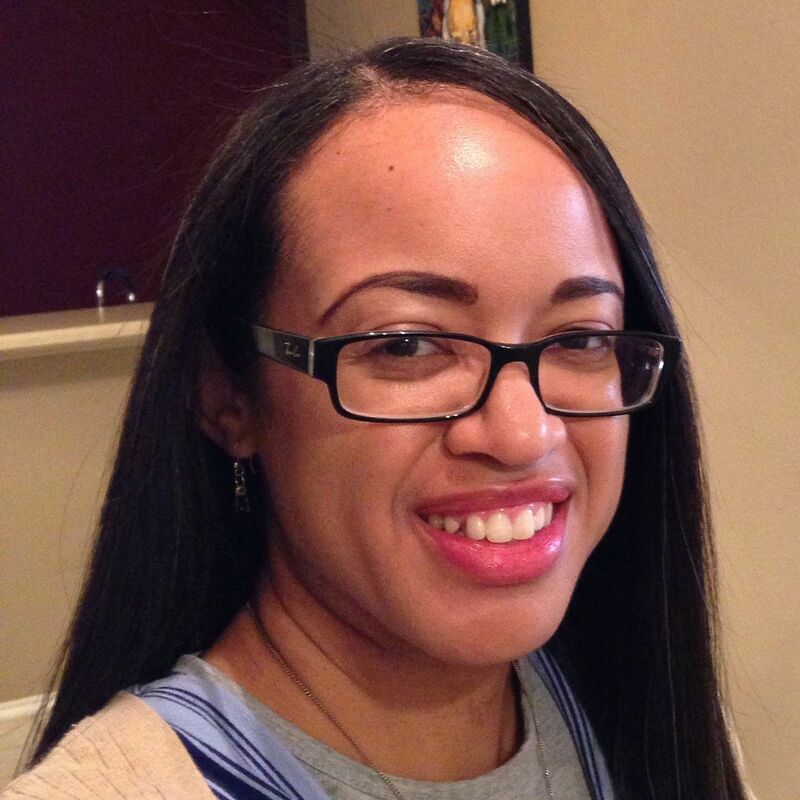 I don’t often like photos of myself, so when I find a good one, I jump on it and change every online profile to match. The blouse, sweater, and skirt are all from Old Navy. I’ve gotten tired of wearing my brown flats every time I wear brown or khaki to church, so I went with these chunky-heeled loafer-type shoes I’ve had at least since undergrad. The toes are scuffed, so I should probably have them shined or just get new ones, but I can’t give up on them. They’re just so comfortable! I could replace them with chocolate brown wedges, I suppose. Mass was good. Our cantors for the Psalm were two teenage girls. They have great pitch, but they don’t enunciate at all. Their lips barely move. Today, I could tell they were just under-rehearsed. I don’t blame them so much as the music directors. If you can’t give someone enough rehearsal to sing with confidence, don’t make them sing. I’ve also noticed that “O Come, O Come, Emmanuel” seems to be the Advent song. We had it last week, we had it today, and we’ll probably have it for the next two weeks. There are other lovely Advent songs, such as “Lo, How a Rose E’er Blooming,” “Let All Mortal Flesh Keep Silence,” and “People Look East.” Hey, choir! Can I get a request?